Discussion in 'New to the website!' started by CRAIG2001, Apr 16, 2019 at 11:28 AM. Hi guys, new to the forum, I recently picked up a 140z. It is not my first Datsun as I also own a Datsun 620 pick-up truck that I coined the Datsun 620z due to building a custom chassis and it now running a full 350z running gear. Look forward to what the forum has to offer. I actually have no UK documentation for it so will be no doubt attempting to get a dating letter etc some point soon. Welcome then. That looks rather cool. Welcome. Was it the white one off ebay ? Not much. This place is principally focused on zed cars, not much focus for other Nissans \ Datsuns. But this is a Z car! I like it, something different. Have you bought the actual Silver 140Z pictured above or just used that picture as a nice example to show ? Fairly sure that car is/was part of the huge Freek de Kock collection. Assume this is what you have bought ? Seller says no import documentation and no NOVA in his advert - this car cannot be registered at DVLA in that case. It has been brought over as parts only. Everyday is a school day, looking forward to learning more from this thread! I agree Woody, looking forward to this thread progressing. Could it be registered on a Q plate? Once a car has been imported to the UK an application is lodged with HMRC and car is placed on their NOVA database and a certificate issued. This is confirmation the correct duties and import VAT have been paid. DVLA cross-check against the NOVA reference on all new ' first registration' applications. A 'Q' plate is only issued for vehicles on which the date of manufacture or first registration cannot be proven, sometimes the overseas registration document is incorrect or missing, hence the occasional need for a 'club dating letter'. Another point to be careful with on South African imports, occasionally it may say on their registration certificates ' Built Up '. This may just mean the car was off their registration system for a period of time (quite common with old cars as may have been taken off road for restoration or laid up etc) but DVLA in their wisdom automatically assume this means the car was previously written off and must therefore be dodgy. They will flag it up and then you have a real battle to prove otherwise, club letters mean nothing in this scenario. If you're lucky and you get a nice clerk looking at your papers they may send an inspector out, if you get a jobsworth whose cat has just been run over, you face an uphill fight to avoid a 'Q' plate. Homework over Easter - What do I do if my car was manufactured outside South Africa and sent over CKD for local assembly ? 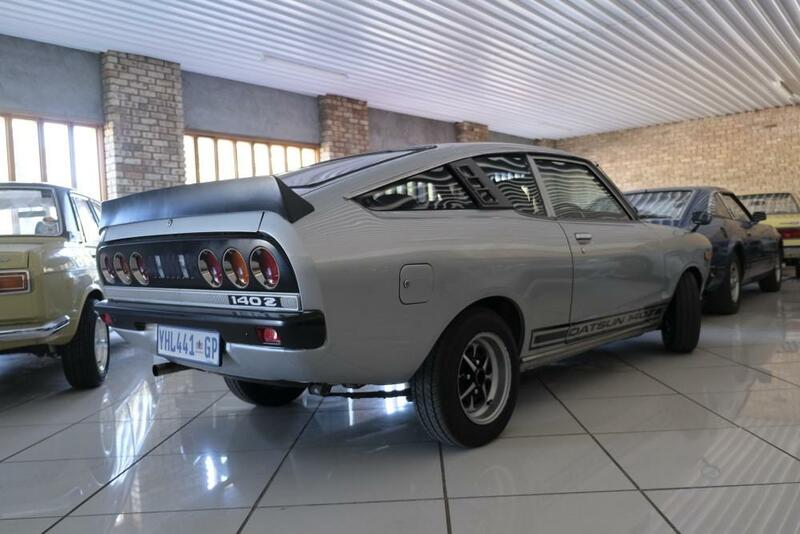 For those interested in the Sunny 140Z here is a link to video with the car shown above briefly tested, part of Mr. de Kock's collection as I thought. It's a great example indeed. I suspect many cars would have lost their original L14 engines to bigger capacity L18 or L20b's. It could be imported here and then re-exported to the UK with (currently) Euro plates and docs. So you can register cars in France with no original registration docs or paperwork to prove the year of manufacture/registration ? How come whenever I sell a car to France, the buyer ALWAYS insists the car is registered in UK prior to export and they often relate horror stories of huge bureaucracy problems and mega long waiting times to get imported cars registered. I think you know all about that from recent experience non ?